A lyrical, century-spanning family saga on the lives of several African-American families. Cooper (Some Love, Some Pain, Sometime, 1995, etc.) begins with a recitation of the brief, hard existence of two young men, Kola and Suwaibu, best friends who, in the 1760s, are captured by slavers and transported to America. Both father children “in this new world of pain,” sending some essence of themselves “rushing, striving, pulsing on toward some future.” A century later, Mordecai (a Suwaibu descendant) and Lifee (a Kola descendant) meet on a Southern plantation in the last days of the Civil War. Lifee, newly arrived, is slated to become the master’s mistress. Beautiful and educated, she is driven by a fierce determination to be free. Mordecai, a skilled farmer and deeply humane, shares her desire for freedom. When the war ends, the two set out to look for a place of their own, making an epic trek across the devastated South before finding land. Cooper’s narrative comes into its own with her portrait of the turbulent years following the war, as freed slaves filled the South’s roads looking for lost family members and new lives. Her depiction of the ways in which Mordecai and Lifee outwit the violent whites they encounter is vivid, detailed, and stirring. Much of the story concerns the pair’s almost continual battle to keep their home and secure an education for their children in the face of violent white opposition. 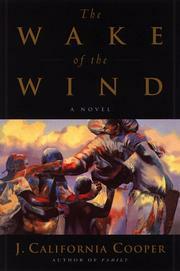 Even if, as Lifee observes at the end of her life in 1895, the world is “still as hard on Negroes” as it can be, she and Mordecai and their equally resilient children have nonetheless managed to defy the odds, and the unpredictable “winds of life,” to create a place for themselves in the world. A moving story that combines period detail, terse, flavorful language, and a swift plot to create a portrait of a redoubtable family over time.